Delivery very fast. The quality is very good. The Fabric Is cotton. Plump, warm. But somewhere ORDERED T (the pajamas set height 110), our height is 104 cm, it is small, even on the shoulders of visible. But if the store had the larger, then ordered more than one) quality really very good! The quality is very good, but was disappointed that sent me another pair of pajamas. Choose The pattern with heart and high (WIDE) belt, and sent the picture a bunny and belt pants to the common elastic band. Pay attention, that review, one and the same colors may come with different elastic pants (may depend on Size, but I have this information the store did not see). Star did not take off to this model spin the child still covered and great quality, soft, thick cotton. Size m is very good fit the height 99 cm. I buy the size 3T and is huge, but an amazing cotton quality. Excellent pajamas, soft, you can take one size larger. High Quality, no shed, no smell, Cotton. Shipping fast, take for 377,87 rubles. order come. 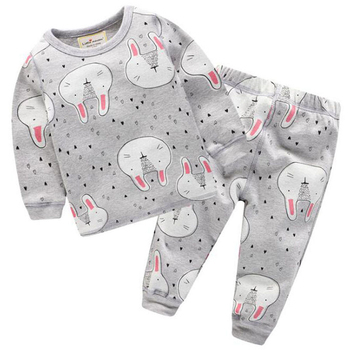 cotton pajamas material, very soft, the quality is good size. recommend!!! Товаром довольна. Пижамки просто супер!